A little detail on Spanish naming custom: the paternal last name goes first, followed by the maternal last name. The full name is typically used for documents, IDs and such. In informal settings, people tend to use just one last name. In the professor’s case, Varas is his paternal last name and Díaz his maternal last name. When addressing him by his last name alone, you’d use Varas instead of Díaz. 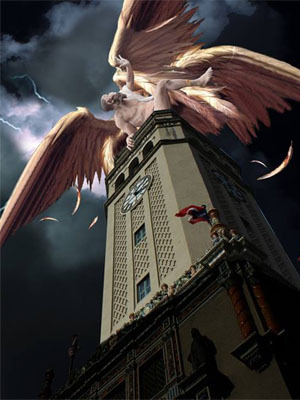 And for anyone curious about the conference’s promo graphic, that’s the actual clock tower at the UPR main campus in Río Piedras.